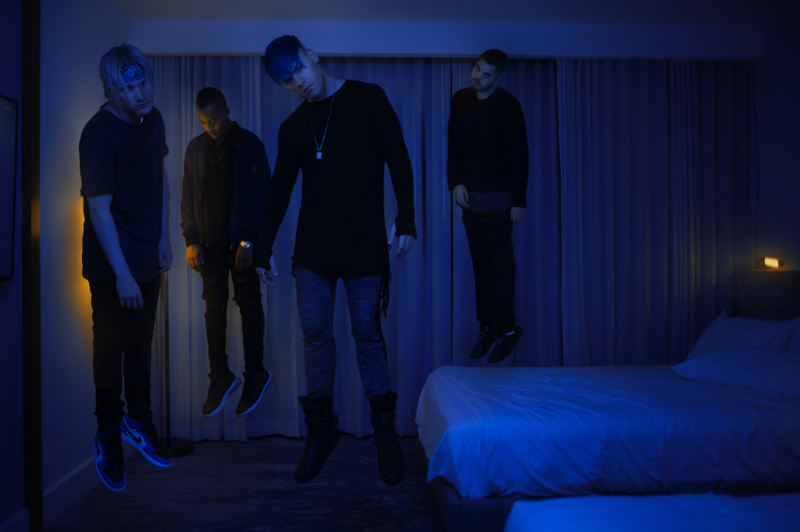 Set It Off and Fearless Records are pleased to announce that the band will release its label debut, Midnight, on February 1. The album is available for pre-order here and was produced by Mike Green (Neck Deep, All Time Low, State Champs) with additional production by Brandon Paddock (Panic! At the Disco, Papa Roach, The Used, Daughtry). The band has just shared the music video for the upbeat and effervescent new track “Lonely Dance.” Watch the clip, which takes place on a spaceship and features the band as astronauts, here. Midnight demonstrates a depth and breadth of musicianship. Carson played clarinet and guitarist Dan Clermont played trumpet on the record, while the band also incorporated live strings, live horns, and a live gospel choir into the album. 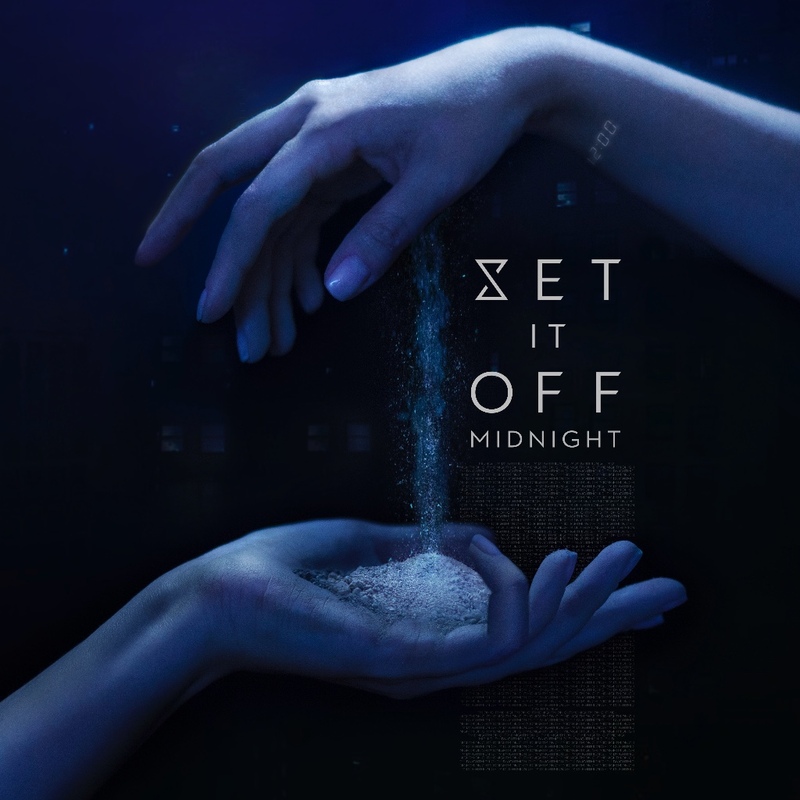 Midnight also includes intricate, instrumental features by Reel Big Fish’s Matt Appleton and Issues’ Skyler Accord, as well as a vocal feature by Wayfarers. 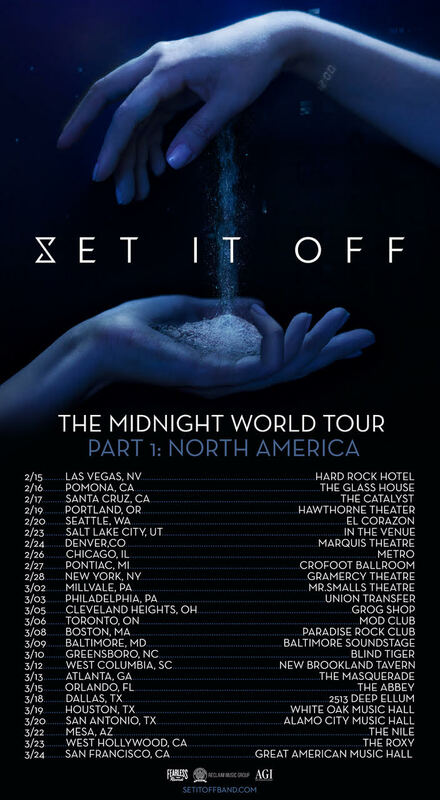 Set It Off will also embark on a North American headline tour around album release. All dates are below.